I have asked you this before? For 2019, how is your professional development coming along? Or said differently, how is the “investment in you” going? All too often, we find ourselves overwhelmed by the “urgent items” of the day, followed closely by the “important items” of the week or so. Unfortunately, this leaves the “priority items” not completed. What is the difference between “important” and “priority”? In my mind, the “important items” are typically defined by our employer. Conversely, “priority items” are items that are about our career, like getting started in the PGA Lifelong Learning Pathway, completing an update on your PGA CareerLinks Profile, or completing the PGA Compensation Survey. Each of these need specific focus, with purpose and accountability, or they won’t get done. Yet, it is these “priority items” that can lead to greater career opportunities, more compensation and/or more job satisfaction. As an aid to drive this, I’ve developed this PDF. If you would like an excel spreadsheet that you can edit/customize, please email me and I’ll be happy to share it with you. CONSUMERS (customers and members): I place them first, because it’s their “demand decision” and what they get from doing business with our facility/our member club, etc. that matters to them. If we can provide more value to our consumers, (remember: their individual definition of what enjoyment means is up to them,) they will give our facility the topline revenue our facility needs to grow, make capital improvements and more. One key understanding about the demand decision is this: If your facility value delivers on the “enjoyment side” of the equation, the “investment side” doesn’t matter (think about it, the amount of time or the cost becomes less important or doesn’t matter at all.) For some, the combination of performance and social may not be their score, it may be how much fun they had shooting 110! In the light of the Demand Decision concept, let’s consider what your professional Value Proposition is. 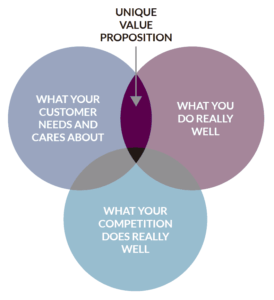 What is the Value Proposition? It’s what makes you unique, it’s your combined set of strengths, skills and energy; especially when it’s applied on an individual basis to customers, members and students. Your innovation can also be a difference maker in light of the Demand Decision concept because “customers know what they want, but they don’t always know what it possible.” In that light, please ask yourself the same question (as last month): Do you regularly enhance the value in your customer’s demand decision? Mentoring, Coaching and Training Staff – Equipping and developing our front-line staff so they can be nimble, and correct in their responses with customers and members will enhance both customer activation and retention; plus, it will create more engaged, more loyal employees resulting in less turnover. Increased Member Participation (Engagement through Activation) – Creating ways to get a couple extra rounds over prior year, a few more purchases from the golf shop, playing in one more event, etc. are all outcomes that are driven by an engaged PGA professional; each leads to greater activity and greater spend. True worth: In light of the above list of “priority items” for employers, where do you honestly see yourself in terms of the “true worth” you bring to the facility for the employer? Value: to reiterate, is a part of your employer’s “demand decision” for you, for how they value you and how they choose to compensate you or similar. Question: Do you regularly enhance the performance/value side of the equation in your employer’s demand decision? Are you still trying to be “Go-Getter?” Do you focusing on what you can go and get, go and take out of the golf business? Or would you like to be a “Go-Giver PGA professional” instead? If you’d like to get together with me to consider these questions, I’m in. When can we can make it happen? I appreciate the opportunity to help you (or those you lead) with your career and I hope you’ll give me the opportunity to partner with you on it soon.